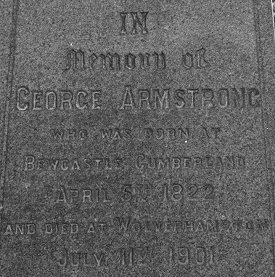 George was the youngest son of Thomas Armstrong, and was born in 1822, while the family was living in Canada. When the family returned to England in 1824, they settled in Newburn-on-Tyne, Northumberland. George's childhood was spent on the Duke of Northumberland's estate where Thomas was a bailiff. The estate was surrounded by collieries, and like his brother Joseph, George was fascinated by the many locomotives that ran on the colliery railway lines. One of the local collieries was Wylam Colliery, where they saw two of the early locomotives, Puffing Billy and Wylam Dilly. George sometimes recalled running for miles alongside the engines, wishing that he could be an engine driver. At the age of 14 he followed Joseph's footsteps and started work at Walbottle Colliery under Robert Hawthorn. He stayed for four and a half years, then in 1840, like Joseph he went to work for John Gray on the Hull & Selby Railway. When John Gray moved to Brighton, to work on the London & Brighton Railway, so did the Armstrong brothers, in 1845. George soon left and obtained the post of engine driver on the Nord Railway in France. At this time experienced engine drivers were in great demand. George only stayed in France until 1848 when the 2nd French revolution began. The first he heard of it was when having breakfast with a friend. Some gendarmes entered the house and demanded that George and his friend follow them to assist in building barricades. After this experience, and being unhappy with the situation in France, George returned to England. A Shrewsbury & Chester Railway 0-4-0 saddle tank engine. He obtained the post of engine driver with the Shrewsbury & Chester Railway, where Joseph was already working. George was soon promoted to the position of locomotive foreman. In 1854 the Shrewsbury & Chester Railway was taken over by the Great Western Railway. In 1860, George, assisted by William Dean, took over the locomotive stock from the Birkenhead, Lancashire & Cheshire Junction Railway, when it was jointly taken over by the GWR and the London & North Western Railway. In the meantime Joseph Armstrong had moved to Wolverhampton, and was in charge of Stafford Road Works. In 1864 Joseph moved to Swindon and was replaced by George, who became Northern Divisional Locomotive Superintendent, with William Dean as his assistant and works manager. Under George the works continued much as before and was quite independent from Swindon. George organised the works, all of the locomotive repairs, the locomotive building program and designed the new locomotives. At Stafford Road he was in charge of a workforce of 750 which doubled during his reign. 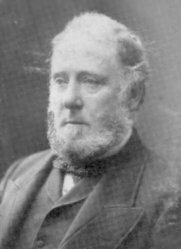 In 1868 Joseph Armstrong called William Dean to Swindon and appointed him as his chief assistant, so putting him in the position to become his successor. This greatly annoyed George as he considered the post to be his. Joseph Armstrong died in 1877 and was succeeded by William Dean. George declared that "he didn’t give a damn for any man and was taking orders from none, he only gave orders!". William Dean knew George's character only to well, and was discrete enough to leave his former chief alone. Throughout George's reign Swindon had little impact on Wolverhampton. During the Franco Prussian war in 1870 & 1871, George went to France to give assistance in getting locomotives built there. Following the defeat of the French at Sedan, the Prussians attacked Paris. George was there at the time, and every able-bodied man was given a rifle and rushed to the city walls to defend the city. George was ordered to go but refused to participate in a foreign war. A number of gendarmes were sent to fetch him, and he was forcefully taken to the walls and presented with a rifle. He later managed to sneak back into the city and kept out of sight until the siege was over. George’s reign at Wolverhampton lasted for 33 years. During this period 626 new engines were built, and 513 rebuilt. George personally superintended the running of Queen Victoria’s special train from Windsor to the junction with the L&NWR at Bushbury, whenever her majesty travelled to and from Scotland. He performed this duty over 120 times.George was a very generous and likeable character. He was no family man and remained a bachelor all his days. Summerfield. Georges home at Park Road West. He was a strong Presbyterian and ardent Liberal. He retired in 1897 at the age of 75. On his retirement he was presented with a silver tea and coffee service, a gold watch and chain, and an illuminated address. The presentation was made by William Dean and a number of dignitaries were present, including George Whale of the L&NWR, and T. G. Clayton of the Midland Railway. A horse drawn brougham and liveried coachman were placed at George’s disposal, and he spent a few years of quiet retirement at his home, which was called Summerfield. 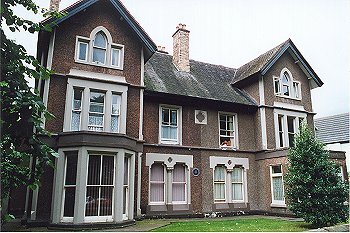 The house which still exists is number10 Park Road West. He enjoyed going to Wales on holiday and occasionally visited the works, where an easy chair was reserved for his use in the Superintendent's office. 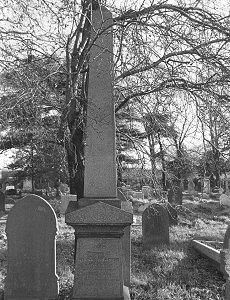 George's Grave with its obelisk. On Thursday 11th July 1901, George visited the annual floral fete in West Park. It was a hot summer's day and he hurried across the park to see the start of the military tournament. He was just about to enter the bandstand when he slipped and fell to the ground. Doctors present at the event went to his aid, but found that he was dead. He died from a stroke. The funeral took place on the following Monday. Large numbers of people were present. The works was closed for the day and representatives came from all parts of the GWR, and from the other railway companies. There were 30 carriages and a number of private carriages that made the journey from Summerfield to Bushbury, passing Stafford Road Works on the way. The funeral service held at Bushbury Church, was conducted by the vicar and supported by a Presbyterian Minister.George was buried in the cemetery, just south of the church. The inscription on George's grave.